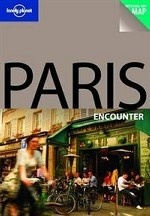 Аннотация к книге "Paris Encounter"
Experience Paris as a Parisian with our balance of popular and lesser - known attractions. This title features expanded coverage of Paris food markets favoured by the local, from traditional under-the-radar markets selling traditional French delicacies to North African spices and specialties. It includes more information for people travelling with children with a Kids Snapshot and more child-friendly restaurants and sights throughout. It offers in-depth coverage of Paris` up-and-coming neighbourhoods such as Belleville & Menilmontant.